I sing in a music school rock-band. We do old-person's-rock-covers and generally have a good time, we're dreadful as you can imagine. We also inevitably buy gear on a budget and as vocalist I was delegated to chase up a new PA amp for the group. With teenage son's into guitars and drums I'm used to sending hard-earned cash to Thomann – the biggest of all the European music equipment companies, and so it's generally a first port of call for most 'pro' music gear. It took but a moment to drill down onto the appropriate section of the website, find something cheap and cheerful and hit the 'buy' button. As always with Thomann the thing arrived in under a week so I dug it out to play with and was hit very quickly by the thought that this little amp might, just might be worth plugging into my hi-fi for a giggle. 139 euro. 12 kg. 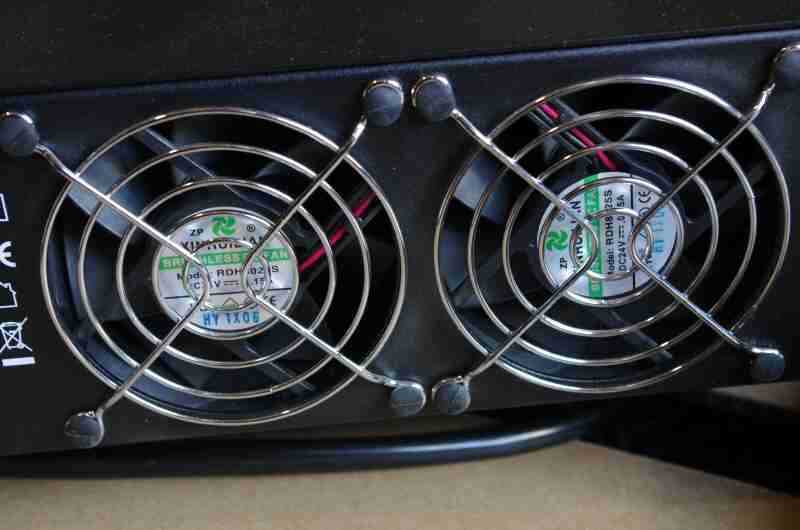 500 watt per channel into 4ohms, 370 into 8 ohms (and a vid I found on youtube showed the older less-powerful version of the amp pumping a continuous 595 watts into a 4 ohm load so those figures are conservative) – 800 watt bridged mode into 8 ohm. This thing is so different from hi-fi gear that it's impossible to give any valued judgment, so I'm just going to write down the bare facts as I uncovered them. First it is well packed, and lifting its not inconsiderable weight and taking off the plastic bag you are immediately struck by its battleship build. It's a standard 19” rack mount and the case is made of a series of steel plates bolted together. You could stand on it without damage... no you could jump on it. It's a million miles from the thin steel sheet wrap, screwed together with a plastic face plate you'd expect from a mass-produced hi-fi amp of the same cost. On the front are two volume controls, one for each channel so if you are running a one-source system this power amp will suffice and of course in the hi-fi world double volume controls are very 'high-end'... They are a bit plastic and small but what the hell. There are also LED indicators to provide clipping warning, source connection, power, bridge mode, protection shut-down etc but it's all very discrete. The face plate has the t.amp E800 logo, but it's pretty tastefully done and though no beauty there's no real give-away to the fact that it's come from the 'dark-side' beyond the cooling vents along the front – something you don't see on hi-fi amps. Round the back is a very interesting set of toys – decent quality speaker binding posts are coupled with Speakon outputs (which are the pro standard) – and there are both balanced and jack-plug inputs for signal. Sadly no phono plug input, but many sources/preamps now have balanced outputs, and failing that there are always mixed cables/converters etc. There are also switches to change from stereo, to bridged, to mono, and for clipping protection. There's also a ground lift, and most important (see below) one for sensitivity. The switches are tiny little things, but then, like the DIP switches used on many hi-fi's it's something you'll set once and forget. So all in all a very comprehensively equipped little power amplifier. So then I undid the (I seem to remember 10) machine screws (not self-tappers) to lift the lid and the pictures below will show what I found inside. Just look at it! That hulking great toroid – its rating isn't marked but it's going to be 600 VA at a guess and that is 1000 Euro hi-fi amp territory, and many much more expensive amps will make do with less. A commercial hi-fi amp of this price would have something around 100VA. Of course that says nothing of its quality, but it's not going to be short on current that's for sure. Another glance and it's blindingly obvious even to my ignorant eyes that it's fully dual mono-from transformer to speaker outputs, the amplifier boards being totally separate (though strangely not totally symmetrical) and the power supply board split with 20,000 uF of reserve capacitors a side. There are 6 power transistors a side and lots of other little shiny surface mount bits I don't understand – no doubt those of you who understand these things will be able to work it out, those, like me, who can't don't need to bother. But the layout is neat, the mains input is filtered, it all looks very professional and well made. What I'm trying to say is that you will not see anything remotely like this layout and component count, on anything remotely at this price point from the hi-fi world. Hell's teeth the toroid alone would cost you over 50 Euro. Anyway I plugged the thing into a scratch system of the Opera M15 Horns - efficient but a difficult load – but most important of all, fitted with drivers capable of withstanding a 'pop' from a few hundred Watts – no way was this monster going to fry my Polaris horns! Front-end was the Opera Droplet CD player which has a direct balanced output. To make it's like easier (irony alert) I compared it directly to the 4000 Euro Jungson JA-99D, a 100W class-A monster that dwarfed the t.amp. As the Opera doesn't have a variable output I used the two controls on the t.amp, though if a pre-amp was used it would be better to put these at max to bypass them as much as possible – this isn't just for this amp, but any amp with a variable output. And so I dropped Led Zep 1 into the maw of the Opera and sat back – and for the moment the hi-fi industry can rest comfortably on its laurels. The sound was very forward – little bass to speak of and the treble grainier than I could live with. But to be fair the CD player (valve remember) was stone cold – the amp new and equally frigid and the speakers hadn't been used for two months. So I left a CD on in the music room and left it all to warm up. OK... It's very far from perfect. Firstly it's quite forward sounding and has a tendency to treble grain – early CD's can sound like 8-bit at times and there's a tendency for cymbals to go tiss tiss rather than the more complex tone and decay the Jungson produced... But a lot of this is down to the source, and the fact that the treble/mid horns of the M15's are inevitably very revealing. On smoother CD's and music that edge becomes less apparent, but it's always lurking – not helped by the fact that LOUD! is so easy that you tend to push speakers harder than usual. But overall treble is a bit thin and grainy. There's also not of the warmth that the Jungson gave – bass was lighter and as with the treble there was little sense of the roundness of a note, the decay of a kick-drum and so on. So bass-light, a bit tuneless and short on body. In fact in these respects it is extremely reminiscent of a typical cheap transistor integrated of about the same price. And if that was all then the review would end there – fabulous value because for the price of a cheap integrated 40W amp you get something of battleship built and capable of driving any speaker to any volume you could possibly desire in the domestic situation. But that isn't all. The first hint of what the amp does especially well was when I put on my bootlegged copy 'Prince – Unreleased Masters' – no you won't find this disc on the web – it's very difficult to get hold of. My copy was given to me by Christophe Cabasse (of Cabasse Speakers) many years ago – he used it in demo's. Track 5 and 6 are recordings made in a continuous single live-in-the-studio pass in collaboration with NPG drummer Michael Bland and bassist Sonny T. Prince originally intended to give this live CD away free with 1,000 copies of Guitar Player magazine in 1994 but it was stamped on by Prince's record company. It's just the trio playing and direct to mixing desk and on to a DAT tape, not the finest recording medium but effectively direct-to-disc – it's the most 'immediate' electric recording I have. Track 6 is 'Undertaker' and opens with a lot of swirling phase effects on his guitar. They are there with the Jungson, but with the t.amp Prince's guitar just swirls around the room – it's really exceptional and the sort of thing single-ended valves do so well – going back to the Jungson it all collapsed back into a warm glow between the speakers. What this means is that the t.amp must have a fine control of phase, and the terrific soundstaging confirmed that attribute. In fact it reminded me of the 'other' T-Amp – the little 5W digital wonder... And then there's the bass. Yes it's a bit light and lacking colour, but boy is it fast with the shock wave hitting you when the kick-drum doubles up. This unedited studio recording also catches little snatches of conversation in the background sometimes – no other amp has bettered this sort of detail. This is all helped by the very low noise floor and the overall dry presentation. Putting on more mainstream stuff confirms this terrific detail in the midrange, and again if there is a soundstage on the record the t.amp E800 will pull it off. I have to say that this was utterly unexpected. But of course speaker matching is absolutely critical. That hard, grainy treble is tough to live with with something using a compression driver – you want something smooth as silk and maybe even a bit rolled off. 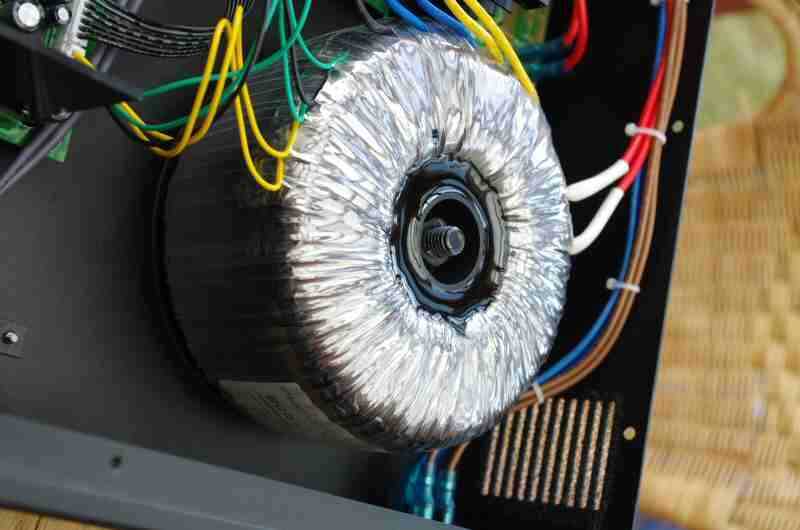 Likewise you want to look for a speaker with plenty of bass and if possible a natural warmth. 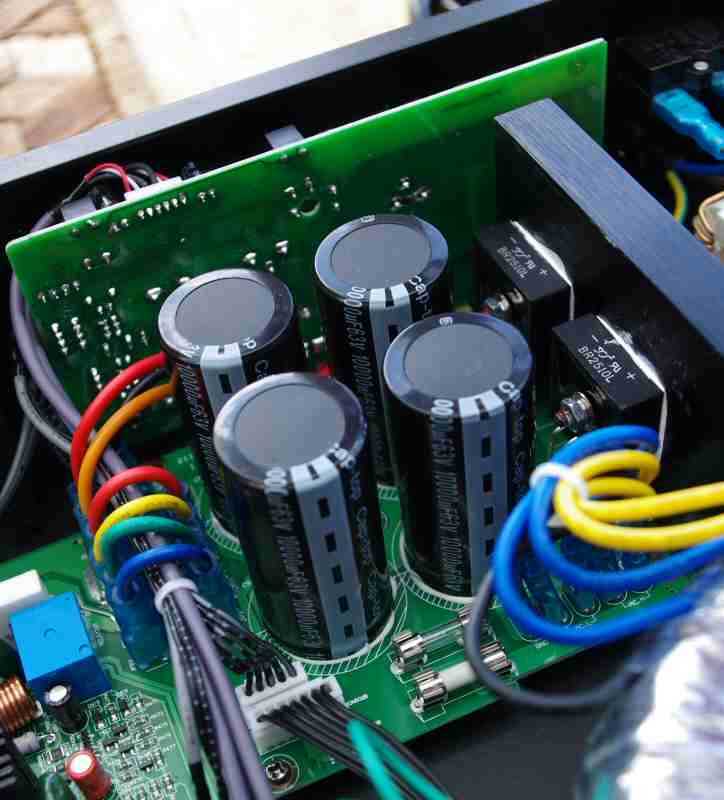 Unfortunately here I ran into a roadblock because as my systems all run Valves or Class A I've tended to collect the most revealing and detailed speakers and these are precisely what you must avoid if you are to get the best from the t.amp. It's also – dare I say it? – better with vinyl than CD. Well I'm a bit taken aback. In the original Tripath T-Amp we had an amplifier costing less than 50 Euro in a tiny plastic box that produces a wonderful clear, detailed, but slightly forward and bass-light sound. It changed the face of budget hi-fi but at the cost of accommodating its pitiful output. The T-Amp E800 is like something from another planet in comparison. Its design is utterly conventional (I believe based on an old classic PA amp) and it is made to pump cheap Watts through a PA. But by dint of good layout and massive power supply it does a few things utterly brilliantly and has the ability to drive practically anything. 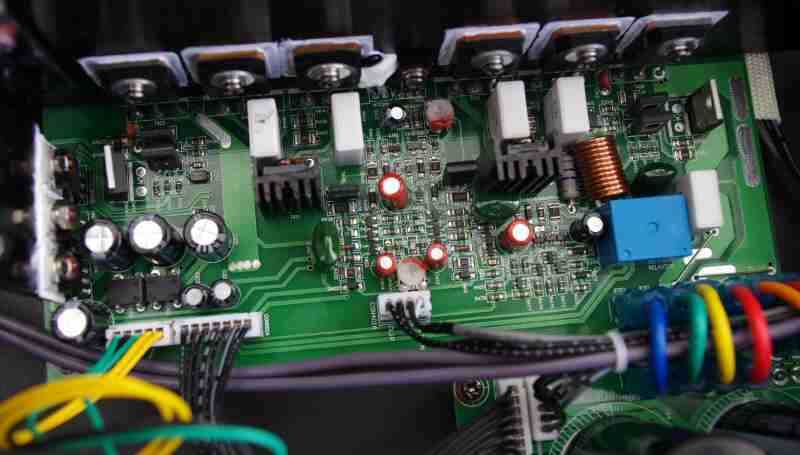 It is an unbalanced product, and I suspect that 'balance' may be one attribute that PA amplifiers have lower on the list of priorities, but even its weaknesses are less than most similarly priced, but puny transistor hi-fi amps. 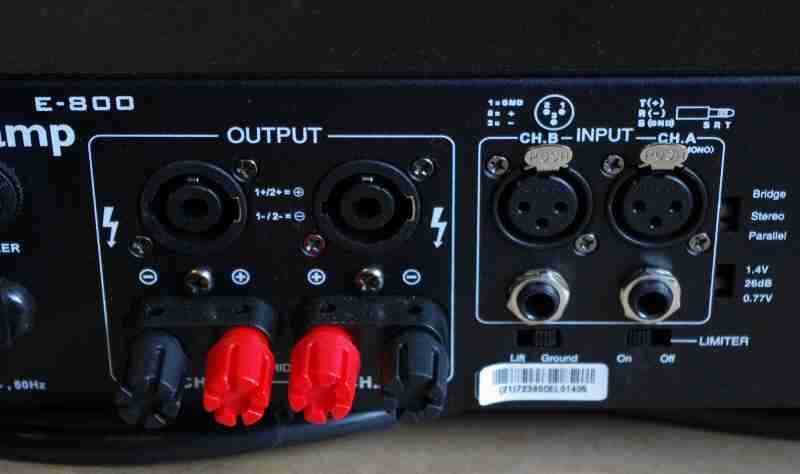 But it's more than that – whereas the original tripath based T-Amp was a pathetic plastic box with spring-clip terminals and jack-plug input, here you have a flexible, full-sized, well-equipped box that lacks for nothing. The Tripath needed to be reboxed before you did anything to it, and by the time you'd bought a box and terminals and connectors you'd soon be into E800 money. 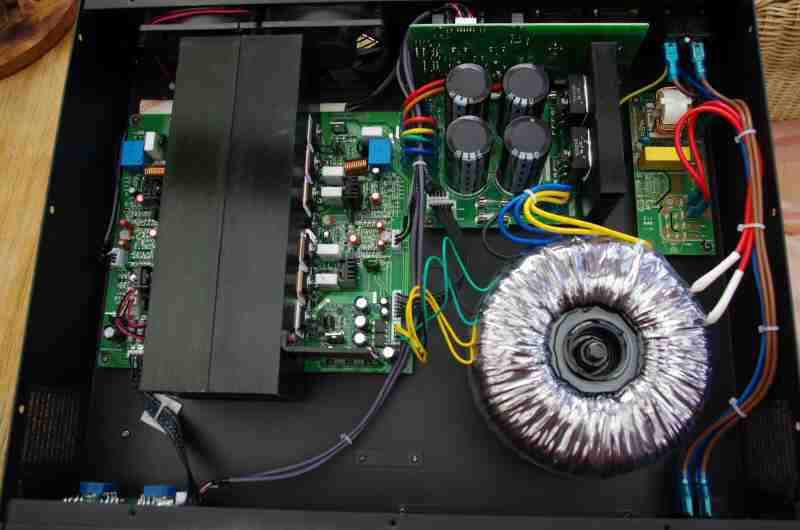 The various 'super T-Amp' clones address this to a point and are the only things that better the E800 in ultimate sound quality for the money, but they are severely limited in other ways and even then the E800 manages to do some things better. Which brings me to another thought - tweeking. Though the box is well filled there's still plenty of space to upgrade those power caps, it's easy to change wiring and so-on – who knows what 100 Euro of designer components could do (perhaps nothing;-) Personally I would be tempted to either disconnect or place a switch in the path of the fan motors, because in a small room you'll hear their whoosh and you simply do not need to cool the amp at the output levels needed for the domestic environment. So – to conclude – who is this for? Everybody... If you are looking to buy a cheap integrated forget it – the E800 will trample it in overall sound quality regardless of it's huge build quality and power advantages. Want something as a back-up for your mega-expensive power-amp – well why not? You may even come to prefer it and save a fortune. Going to throw a party – well what else will do the job so well, and you'd be surprised how many friends you will discover when people find out you've a pukka PA amp to lend out. 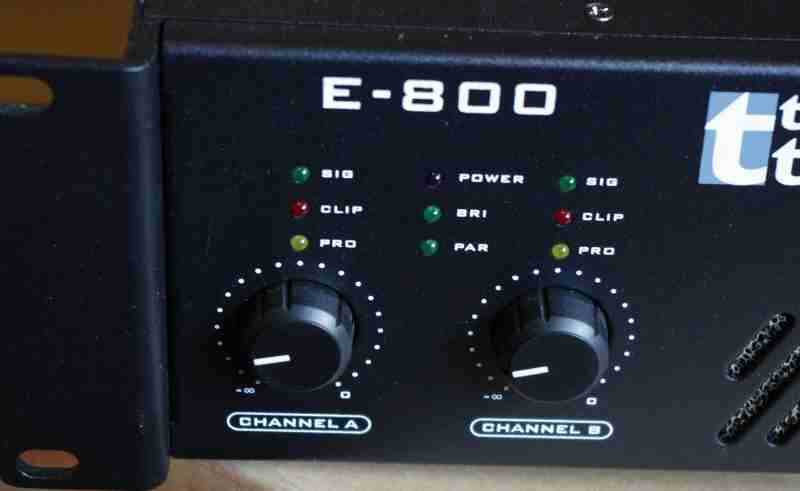 And of course when your teenage son wants to deafen the neighbours don't let him touch your good stuff – just throw him the E800 knowing that whether he shorts the inputs, runs it flat out with the speaker cables disconnected on one side or uses it as a doorstop he isn't going to break it. Surround system? It'll be ideal – buy four and and win the pub 'top-trump' games with your friends and their 10,000 Euro systems. Want to fiddle about doing DIY upgrades? You're not risking a lot. And of course – when you reach your mid-life crisis and find yourself looking for a band so you can pretend to be a young Mick Jagger, you'll find guitarists welcoming you, and your amp, with open arms. And lastly – if all that I've written here is rubbish, and you find yourself with a dog of an amplifier you hate then just send it back within 30 days and Thomann will refund your money. What do you want – blood??? *When I reviewed the original tripath T-amp many moons ago I mused about the possibility of someone taking the T-amp, reboxing it, adding a few shiny bits and selling it for 10000 Euro. Well I was right though they never went over 1000 Euro. Here I can imagine the same thing – rip out the fans and pro connectors, put a piano-black faceplate on it – throw in a couple of wonder caps and flog it for 2000 Euro. We'll see.